Gary Beasley is the CEO and Co-Founder of Roofstock, an online marketplace for buying and selling single-family rental homes. Beasley spent most of his career building businesses in the real estate, hospitality, and tech sectors. 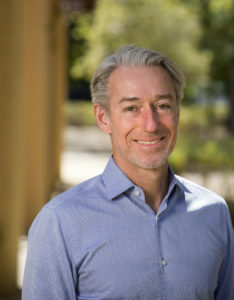 After earning his BA in economics from Northwestern, Beasley earned an MBA from Stanford, where he caught the entrepreneurial bug and still serves as a regular guest lecturer. Previously, Gary was instrumental in acquiring and integrating more than $800 million of resort properties for KSL Resorts, and spent five years as CFO of online brokerage pioneer ZipRealty, which he led through its successful IPO in 2004. Immediately before starting Roofstock, Beasley led one of the largest single-family rental platforms in the U.S. through its IPO as co-CEO of Starwood Waypoint Residential Trust, now part of Invitation Homes, the nation’s largest single-family rental company. Beasley spoke with DS News about the state of the single-family rental sector in 2018, what anyone looking to get into SFR investment should know, and how rental is being affected by larger trends in the housing industry right now. DS // What advice would you have for anyone looking to enter the single-family rental investment space? The entry point now is quite good from a risk-return standpoint. When we started buying homes in 2009 or 2010, it was still pretty spotty. We didn't know if prices were going to continue to fall. We were confident that the market would recover at some point, but it was unclear what the catalyst for that was going to be and it was unclear if we would be able to operate profitably. We were getting such good real estate deals back then that whether or not we could operate them profitably over time was of secondary concern. We were buying the homes knowing we were getting in at a very attractive basis that showed a very nice yield on paper and, at some point, the prices were going to go back up. We didn't know if we could turn it into a business or not, but we knew it was a good trade. Today, it's clear this is a good business. There's enough operating history and the debt markets have matured, so it's less risky. The absolute yields you can get are lower, but the risk is also much lower, so it's a much more proven asset class. For the average investor coming in now, you're not getting returns quite as high as you did buying in the depths of the cycle, but on a risk-adjusted basis, they're quite good. DS // Do you think there are opportunities within the SFR investment space to address the widespread need for affordable housing? Yes, there are real opportunities for the single-family rental sector to fill the void of starter homes. People used to move out of their apartment and buy their first home. Due to price appreciation, many of those homes are now beyond their reach, and the new homes that are being built are typically move-up homes. There are many reasons for that. Land costs and impact fees make developers feel that they need to build larger, more expensive homes to amortize those fixed costs. The smaller starter homes are simply not being built as much, but that is still a need that exists. People have kids and want to move into a house, but they might not have the down payment. Or they might have student debt, which is at record levels. Maybe they don’t know how long they're going to be in their current job, so they don't want to sign up for a long-term mortgage and be tied to their real estate. The rental home is an opportunity for people to live the lifestyle of having a home but retain that flexibility, which is one of the reasons I like the business. We're filling a need by creating good-quality, affordable housing and investing in that housing stock, which is important. DS // What are some of the lessons the industry should be taking away from the damaging natural disasters of the past year, ranging from hurricanes to wildfires? From an investment standpoint, it shows the value of diversification and being in lots of different markets. If you're an individual investor and you have exposure to a market where there's significant peril risk, make sure you're appropriately insured. Some people chose not to be as insured as they probably should. There's a reason that there's an insurance market and that it's priced the way that it is. Make sure you have the appropriate level of insurance because that is a lesson that is learned painfully by many people.